Native River saw off Might Bite to make all the running in an epic duel for the Timico Cheltenham Gold Cup. Third 12 months ago, the Colin Tizzard-trained Native River (5-1) went two places better to win in the hands of Richard Johnson, who was landing the blue riband for the second time after Looks Like Trouble in 2000. 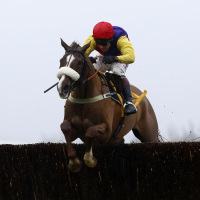 Native River and Might Bite, the 4-1 favourite, were the first two throughout and it was the former who proved stronger from the last fence to prevail by four and a half lengths. The pair were a further four lengths clear of 33-1 chance Anibale Fly in third.